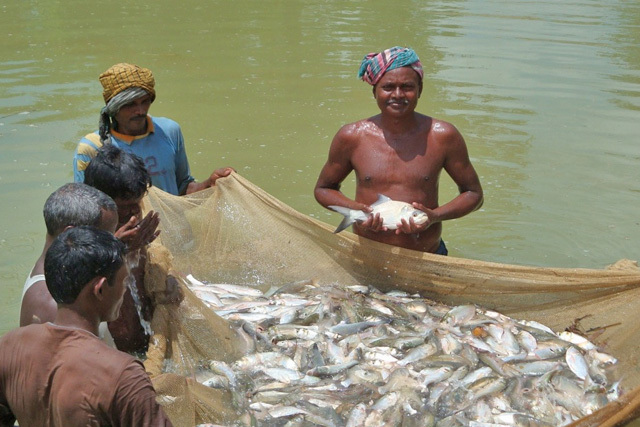 Aquaculture has many benefits for the poor such as increasing fish available for consumption, creating jobs and income, and improving access to high-quality protein and essential micronutrients. And, it’s often assumed that aquaculture in developing countries will achieve all these outcomes. However the new research finds that the distribution of these benefits is impacted by socio-cultural dynamics such as local customs, gender, age and religion. Socio-cultural dynamics shaping the potential of aquaculture to deliver development outcomes, finds that women receive less benefit from aquaculture and local power relations often restrict the poor’s access to land and water. Likewise, the nutritional value of fish depends on local processing and cooking methods and customs. Socio-cultural factors are the prevailing cultural norms and values, and forms and nature of social relations within a community or country. They can be understood through axes of identity such as gender, race, ethnicity, religion, caste, age, sexual orientation, ability and health status. The study involved a review of academic studies and reports by UN bodies and NGOs over the last ten years, with a focus on Asia and Africa. It found many cases of how socio-cultural factors influence who benefits from aquaculture and how. For example, in Kalimantan in Indonesia, pond owners agree to pay their pond managers a share of the total profits. But often, the owners don’t disclose their full profits, resulting in income being unfairly distributed. Likewise, in countries like Thailand and Bangladesh, small fish are often sun-dried. This processing method destroys a large proportion of the vitamin A content, which reduces the nutrients in the processed fish. So despite more fish being available due to aquaculture, the nutrition benefits aren’t always realized. The research is unique, notes Research Analyst, Surendran Rajaratnam, because it focuses on factors affecting consumption rather than productivity. The authors call for more context-specific studies of socio-dynamics in aquaculture production and consumption, to help policymakers and planners ensure its development outcomes are achieved.